Book now to avoid disappointment for all periods throughout the year. 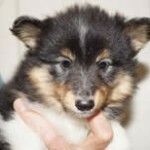 As well as running a small and caring boarding kennel Alison and Tony Hunt breed German Shepherds and Shetland Sheepdogs. 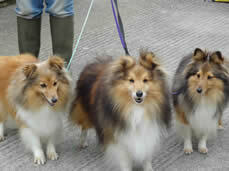 Alison, is a retired qualified veterinary nurse. 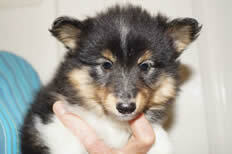 The German Shepherds and Shelties are bred for their kind temperaments and their breeding is known throughout the UK. 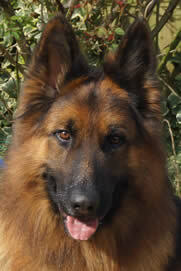 GSD breeding lines go back to the Guidewell lines. (The affix of the Guide dogs for the Blind Association) and the association has bought Dellaph puppies to train as working Guide Dogs. 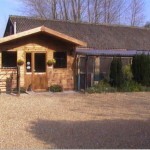 Our small cattery is personal and very popular with more and more people wanting to use the facilities. Therefore bookings need to be made early. 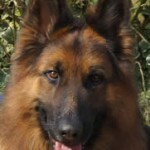 Alison worked in Veterinary practice in Rickmansworth in Hertfordshire from leaving school to buying a kennels locally known as The Dell Kennels. During her time in practice she studied and gained her Veterinary Nursing qualifications and put this to good use as senior nurse in the practice. When she and Tony bought the Kennels in 1969 they turned what was a poor quality establishment into one of the most successful Kennels in the South East of England. 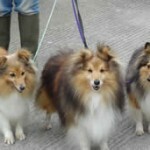 The name The Dell Kennels became synonymous with high standard kenneling, quality kind temperament of Dellaph German Shepherds & Shelties, professional dog beauticians and expert advice on dog training. I n 1995 they both decided to leave the noise and pollution of the South East and move with their dogs to Somerset, where they have again built a “Not so Popular” boarding kennel into a thriving establishment where enquiries far exceed the accommodation. 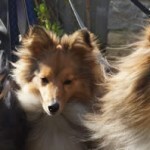 Also Alison has after 40 years in Dog grooming and clipping continued to train the staff in this skill .This has been well accepted by the customers of Tor View Kennels and the grooming /trimming continues here by the staff calling themselves “K C Dog Grooming”. VIEWING OUR ACCOMMODATION MAY BE DONE ON AN ARRANGED APPOINTMENT WITH A MEMBER OF STAFF.